LoanBlock™ Is a holistic approach to loan settlement. This product is all inclusive of the entire suite of HashLynx products. 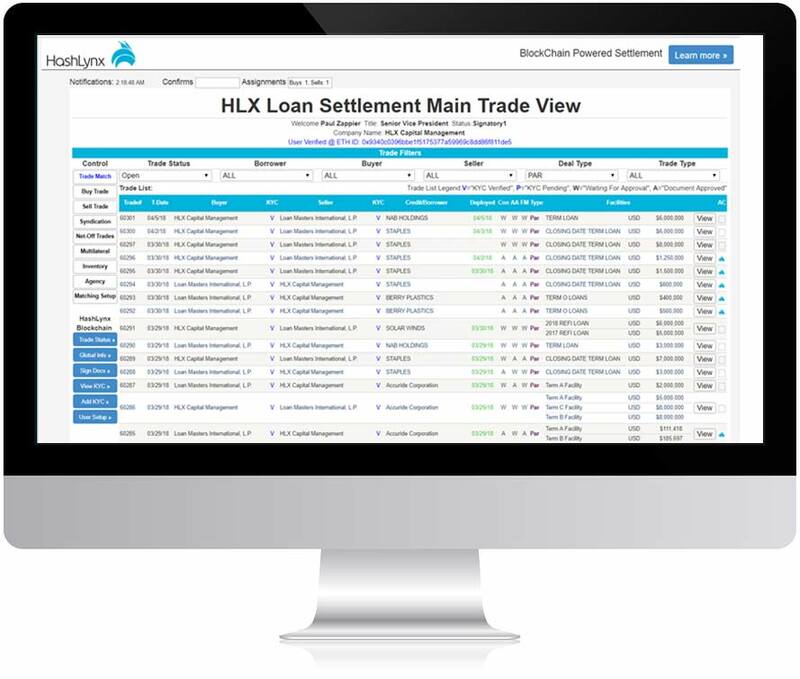 The LoanBlock™ will facilitate an all to all trade matching platform to allow our client to process all loan settlement documents with extreme ease and automation while resulting in productive use of the HashLynx blockchain. This is a user friendly, comprehensive electronic trade processing and settlement application that incorporates straight through processing to facilitate automated syndicated bank loan and settlement methods in as little as T + 0 to Trade to Date +2 Max. This LoanBlock™ will incorporate API’s that will work seamlessly with existing legacy systems keeping all customer databases in sync as required. LoanBlock™ is designed to dramatically reduce settlement times across the bank loan market.